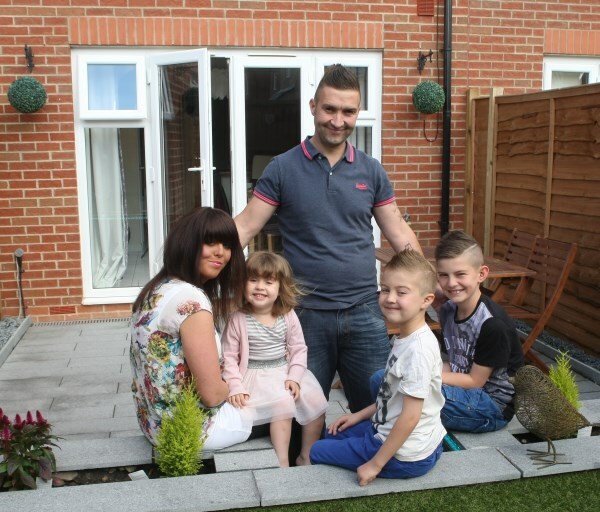 A combination of the Help to Buy scheme, support from Bovis Homes and a touch of good old fashioned fate, saw the Stevenson family move into a brand new three-bed family home at Byron's Wood in Hucknall, near Nottingham. 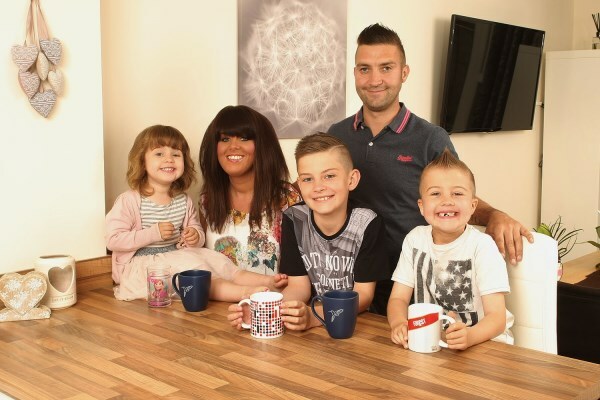 Nick and Jo, along with their three children, had been renting in the area and had been trying and failing to get on the property ladder in their home town. Jo, a hairdresser, explained: "We used to rent a Bovis Homes property on this development for about two-and-a-half years, but then more houses began being built and the Help to Buy scheme became available. We had tried years ago to buy a property but couldn't get a deposit, so we were really excited about this assistance scheme. "We both have family in the area, we work around here, so we really wanted to live here. Buying this property felt like fate and that it was meant to be." With Help to Buy the purchaser receives a Government equity loan of up to 20% of the cost of the property, leaving a 5% deposit and 75% mortgage required by the buyers. Nick, who works in the home improvement industry, said: "We found the buying experience very relaxed as we were never pressured into anything. The sales team was very helpful and friendly and the assistance we received from the recommended mortgage advisor was second to none. "What attracted us to the property was the layout and size, which we felt would suit us as a family and it was always our plan to buy a new build, as it would be a blank canvas for us to make our own." For more information about Help to Buy, Byron's Wood or any other Bovis Homes developments, visit www.bovishomes.co.uk.